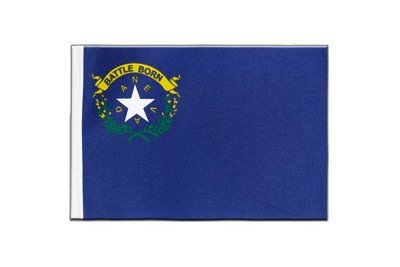 Our small satin USA Nevada flag in size 6x9" is made from decorative heat cut polyester satin fabrics. On the left edge (pole side) the flag is reinforced with a 6 mm white pole sleeve. On the other edges, the flag is heat cut sealed. It can be configured with our friendship bases. High colour saturation on the front side with approx 75 % through-printing. The back appears as a mirror image and is very well printed. Discover Royal-Flags.co.uk's great variety of Small Satin Flags! 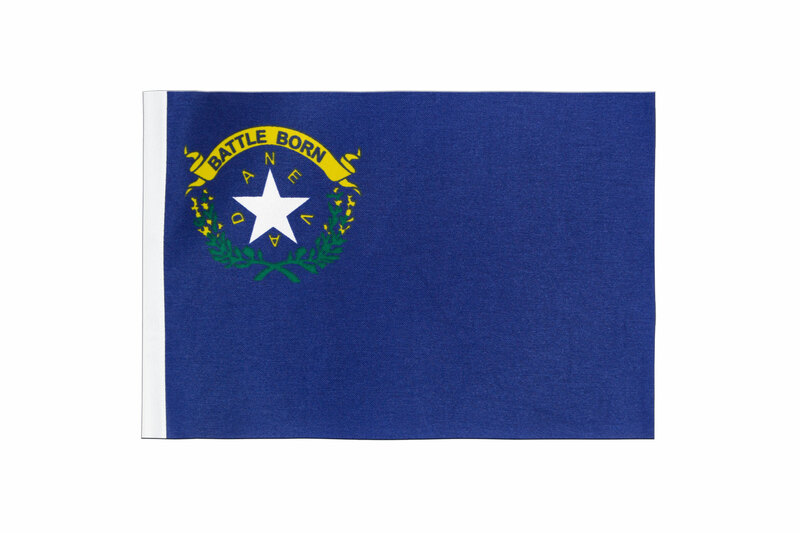 Here you can find all sizes and designs of our Nevada flags for sale. Decoration ideas: Create your personalised bunting with our 2 mm flag rope and some glue. We recommend the use of a glue gun. Alternatively, the rope may be sewn within the pole sleeve. 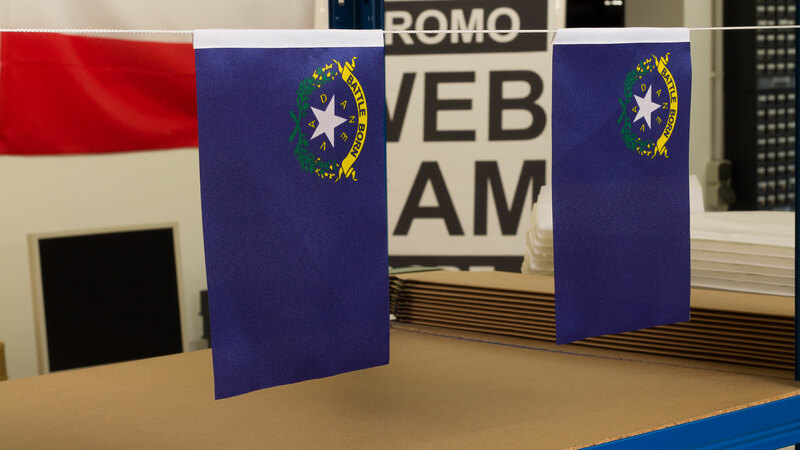 Order "Small Satin Flags" in bulk from us. Buy many with less money. Nevada - Mini Flag 4x6"
Nevada - Little Flag 6x9"